Photograph of Anabell Marroquin by Wes Bell. In 2016, after being admitted to the emergency room to determine why she’d been feeling so unwell, 29-year-old Anabell Marroquin was given a scary diagnosis: she had acute lymphoblastic leukemia. She began her cancer treatments at the Tom Baker Cancer Centre in Calgary, and finished them at the Margery E. Yuill Cancer Centre in her hometown of Medicine Hat. 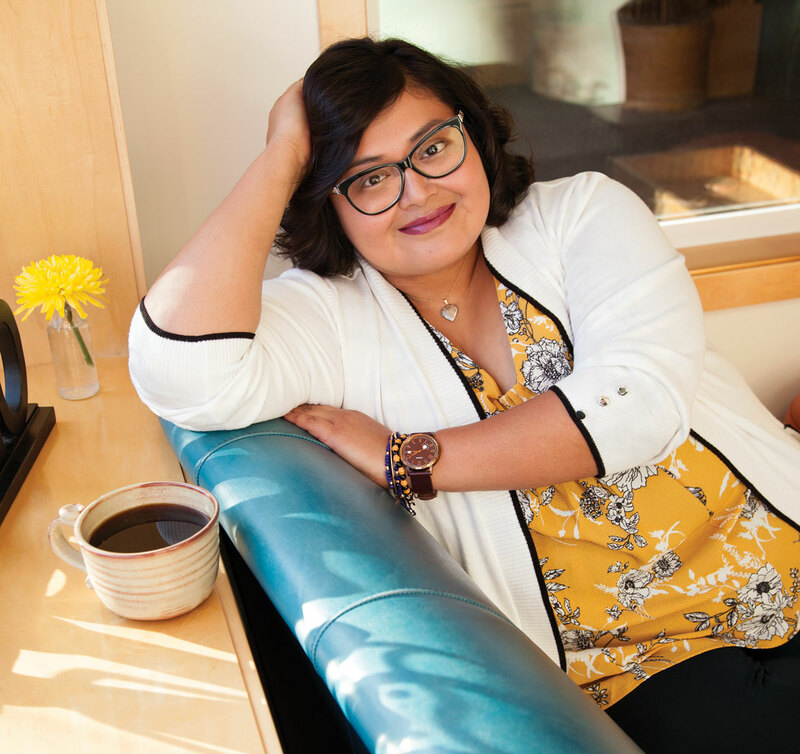 Now in complete remission, Marroquin is committed to sharing the story of her cancer journey, both to encourage patients to advocate for themselves and to help encourage others to raise funds for improved cancer treatment and care. “I had just moved back to my hometown of Medicine Hat from Calgary, and had started my dream job in community development — then that all came crashing down. “It was February 4 when an oncologist [at the Foothills] came in and told me that I had acute lymphoblastic leukemia, that it was very aggressive, and that if I didn’t move forward with treatment right away, I had two weeks to live. Over the next 24 hours, I had to let my co-workers, family and friends know what was happening. “I started treatment the very next day. I stayed at the Tom Baker Cancer Centre for a whole month. [My mother] actually had to stay in Calgary for a year. I was on the Dana Farber Consortium Protocol (DFCP) treatments [a multi-stage intensive method of chemotherapy that uses a combination of medicines at different points in treatment]. It was pills, and I had a PICC line because of the different types of chemo I was receiving. In the midst of that, because of the type of chemo I was receiving, I had really low platelets and had to receive blood transfusions as well. “The medical staff were so kind, genuine and compassionate. They knew that Calgary wasn’t home for me, but made sure I felt at home. The days I was feeling really sick, they listened. There was humour involved as well. It was nice to laugh during moments I wasn’t feeling well. “After a year [on Oct. 29], I was given the okay to complete the rest of my treatment at the Margery E. Yuill Cancer Centre. “I didn’t know what to expect [with the transition], but it was amazing. The staff at Margery E. Yuill Cancer Centre are basically like family to me. There, I had the opportunity to work with the Alberta Cancer Foundation’s Patient Navigator Program, which made sure I was receiving support. [My patient navigator] connected me to a social worker if I needed someone to talk to. She even supported my family in the new transition of me being back home. As I ended my treatment and transitioned into a new normal, she even made checks during the summer. “My last day for treatment was May 9, 2017. I actually scheduled my appointment so that most of the staff I knew were working, to share that moment with them.